British songstress Adele is back after the noteworthy release of her second studio album 21. The singer’s latest release, Adele Live at the Royal Albert Hall, features a DVD of the full 90-minute concert experience at London’s famed Royal Albert Hall, in addition behind-the-scenes footage of the much-talked-about Sept. 22 performance. The DVD-CD combo also features Adele’s award-winning 21, which includes the chart-topping “Rolling in the Deep”. 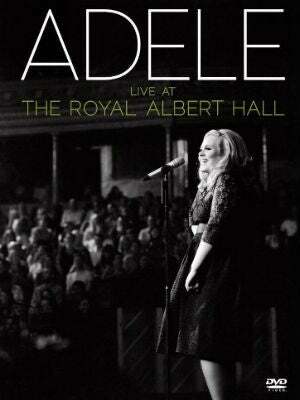 Adele’s Live at the Royal Albert Hall is set to hit shelves Nov. 29.